The conferences on ‘Applications for Computers and Operations Research in the Minerals Industry’ (APCOM) initially focused on the optimization of geostatistics and resource estimation. Several standard methods used in these fields were presented in the early days of APCOM. 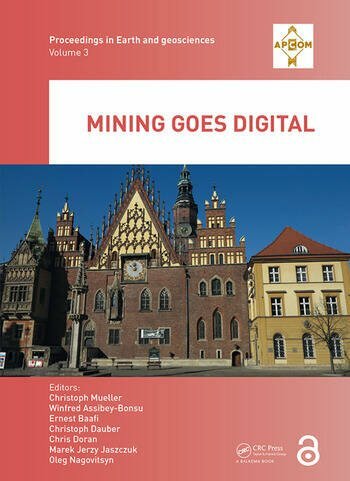 Mining Goes Digital will be of interest to professionals and academics involved or interested in the above-mentioned areas. Dr. Christoph Mueller, born 1963, after his engineering studies and an additional education in technical software engineering at Siemens got his PhD in Electronics and Telecommunications. Since 1992 Christoph Mueller works mainly with automation projects for mobile machinery in the raw material industries. From 1997 he is operating his own companies specialized on successfully turning innovations into operational benefits in major mining process optimization and machine automation projects. Currently, these companies in Germany and Poland are working mainly with functional safe machine automation, driver assistance systems and autonomous operation in areas as mining and tunneling, agriculture or airport equipment. Dr. Winfred Assibey-Bonsu BSc(Mining); PhD(Eng) Wits Univ. ; EDP, Wits Business School, FSAIMM, MSACNASP. Current Position: Group Geostatistician and Evaluator, Gold Fields Ltd, Corporate Technical Services, Perth, Australia. Employment post PhD studies; Gold Fields of South Africa, 1991 to 1994; Gencor Limited, 1994 to 1998; Gold Fields Limited, 1998 to date. 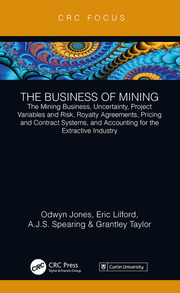 Winfred’s experience includes mineral resource assets assessment for mining companies as well as new business associated work including prospects in South Africa, Australia, South America, Zaire, Ghana, Ivory Coast, Philippines, Ethiopia, Tanzania, Cuba, Dominican Republic, Russia, Finland, Romania, Papua New Guinea. Winfred is a dedicated family man with wife and four children. He enjoys reading and soccer. Dr. Ernest Baafi holds PhD in Mining Engineering from University of Arizona, MS in Mining Engineering from Penn State University, US and BE, ACSM from Camborne School of Mines, Cornwall, UK. He is Associate Professor in Mining at University of Wollongong, Australia where he is currently the Academic Program Director in Mining Engineering. His primary field of research is the application of computers and operations research methodologies to system evaluation and design. His current research activities include geostatistical ore reserve estimation, mine system simulation, logistics and optimisation. He is the current Chair of the International Council of Application of Computers and Operations Research in the Minerals Industry (APCOM), representing the Australasian Institute of Mining and Metallurgy (AusIMM) on the Council. Prof. Dr. Christoph Dauber. Born in 1954, Prof. Dauber has studied Mining Engineering at the RWTH Aachen, where he obtained his Ph.D. about refrigeration techniques for deep hard coal mines. 1982 he joined RAG, the biggest hard coal mining company in Germany, and started as a deputy and undermanager. An exchange of engineers gave him the opportunity to work for six month in two Australian coal mines. Seven years he acted as the production manager of the hard coal mines Ewald and Walsum, before he joined the central technical department. Being the responsible manager for central technical support and supply he initiated and accompanied a couple of operational innovations. 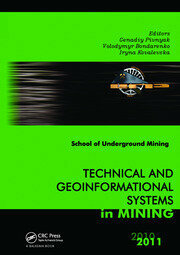 2008 he become a professor at the THGA in the field of mining technology. Additionally he held the position of a Vice President responsible for research and development. Since 2015 he works as a part-time professor for the THGA. Dr. Chris Doran is a Mining Technology Consultant at Mitacom, a company specialising in technology services related to mobile equipment safety and automation for minerals and resource industry clients in Australia, Southern Africa and South America, including development of requirements for collision avoidance and introduction of advanced technologies and automation systems into mining operations. Dr. Doran is a key participant in several industry programs to improve mobile equipment safety, promote interoperability, a driving innovation between mining houses, mobile equipment manufacturers (OEMs) and technology providers. He is also an active contributor to the development of national and international standards for safety and interoperability in the field of earthmoving and mining. Prof. Dr. Marek Jerzy Jaszczuk PhD, DSc is employed at the Department of Mining Mechanization and Robotics of the Faculty of Mining and Geology of the Silesian University of Technology in Gliwice, Poland. His subject covers issues related to the identification of external and internal loads of mining machinery, especially shearer-loaders, armored face conveyors and hydraulic roof supports, as well as the interaction of mining machines with their natural environment. He is the author and co-author of original mathematical models and software for computer-aided design of cutting drums for longwall shearers and multi-criteria optimization of design features of the hydraulic roof supports. For the solutions resulting from the research he and his team won the Team Award of the Prime Minister for the outstanding national scientific and technical achievement and the 1st degree Award of the Minister of Labour and Social Policy. They have also been awarded medals of prestigious innovation exhibitions at home and abroad, including: Warsaw, Brussels, Nuremberg, Seoul, Kuala Lumpur and SuZhou. He is the author and co-author of 4 academic textbooks, 5 monographs, over 90 articles in domestic and foreign journals, over 50 papers delivered at national and international conferences and the scientific editor of 5 monographs. He gained 15 patents for innovative solutions. Oleg Nagovitsyn, Dr. Eng. is Deputy Director of the Mining institute of the Kola Science Centre of the Russian Academy of Sciences. Oleg's scientific activity is connected with the studies aimed at development of the software which realizes the functions of a mining-and-geological information system for the mining and mineral processing. The geo-information system is based on the application of subject-oriented databases, visualization and integration; spatially related geological, technological, geophysical, geomechanical and monitoring data which form a single geo-information space of the mining and processing enterprise. 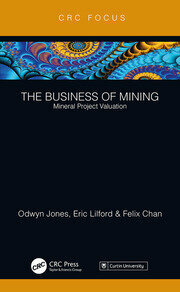 The practical significance of the studies lies in the fact that the developed software, educational and methodological materials realize the computer technology of geological modeling, design and planning of mining operations.